Esut Teaching Hospital Parklane, Enugu is committed to the provision of compelling quality timeless medical services to patients and has been committed to this task for several years with success. 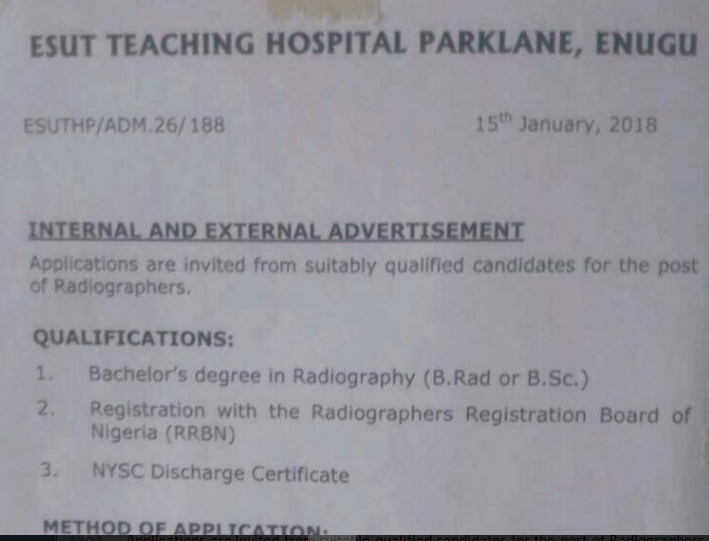 Applications are invited from suitable qualified candidates for the post of Radiographers. See also: 2017/2018 Ikeoha Foundation Scholarships & Bursary Awards.